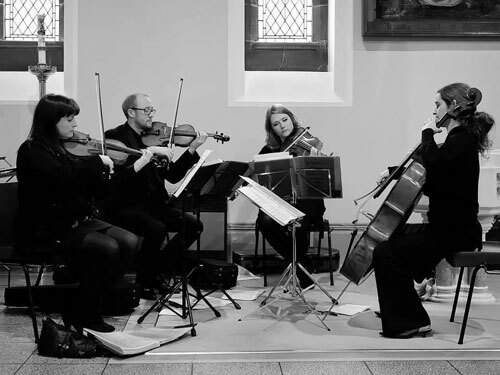 This professional string quartet is based in Glasgow and performs throughout Southern Scotland at weddings, corporate functions and all other events. 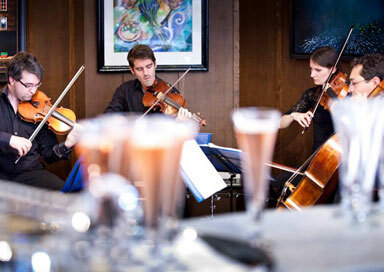 They will create a fantastic atmosphere at your event as either quality background music or something more centre-stage. 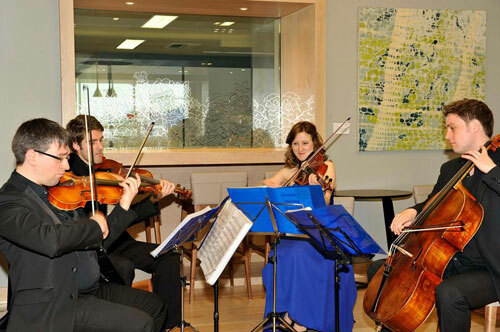 They offer a very diverse repertoire covering classical, jazz, folk and pop, and are the perfect addition to any event. 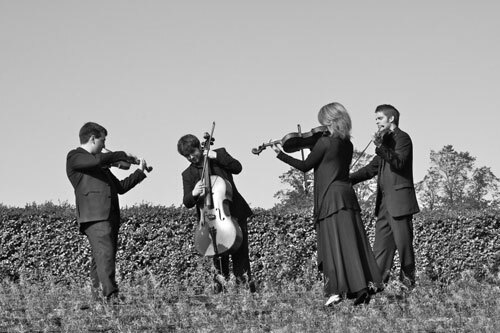 They will discuss and choose the perfect programme with you directly and are also happy to arrange any piece of music that you require free of charge. 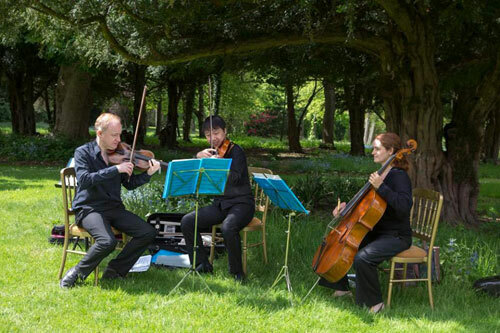 They guarantee a performance of a high standard which looks and sounds good and their priority is to add something special to your event and that everything runs smoothly and seamlessly, never compromising on quality.